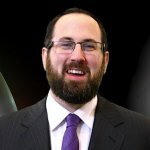 Rabbi Yitzchok Fingerer - Why Do Kids Rebel? Would you like to receive email updates every time there's new content of Rabbi Yitzchok Fingerer? Why do some children suffer from instability, disfunction and rebellion? How can you contribute to the ultimate success of your child? In a fascinating new series, Rabbi Fingerer provides skills and tools for successful parenting.